D’Marie is the CEO of Nail Gawd LLC. She has gained much recognition for her Nail Gawd Arcylic Systems and her artistry in Swarovski crystal embellishment designs. Her meticulous attention to detail, magnetic personality, unrivaled design work, swift technical performance, and 145k+ followers on Instagram reflect the fact that she has now become Miami’s most in demand nail artist. At just twenty-six years of age, D’Marie is now apart of the growing number of young entrepreneurs, owning her nail salon and line of products.  She has completely taken the industry by storm and has established a solid, high-end, devout clientele in Miami. Dedicated client travel four to six weeks across from LA & Atlanta all the way to Miami to have their hands blessed by the Nail Gawd. D’Marie began her journey to nail artistry in 2013 when she relocated to Miami, FL. Born in Boston, Massachusetts, and growing up in St. Lucie County, D’marie comes from humble beginnings and always had dreams of becoming a successful entrepreneur and a master at producing works of art that contributed to empowering women and their self-expression. Her work has made such an impact that even Ebony Magazine was inspired to interview her on her inspirations that lead to her inventiveness. In 2015, D’Marie worked with Covergirl as a nail expert representative in one of the largest street festivals in miami called Calle Ocho. Also, Glam Belleza Latina Magazine named D’Marie one of three nail technician pros to be featured in an article celebrating these Latina women for their extraordinary ingenuity. She also made huge waves of impact on the hit reality show Boss Nails featured on Oxygen Network, as the youngest nail artist to be featured and showcased nationwide for her art work. With an ever growing nail industry, rising competitive market, D’Marie is setting the bar high and continuing to pursue more business endeavors. With that being stated lets see what 2018 holds.